24.05.2016 (Hvino News). 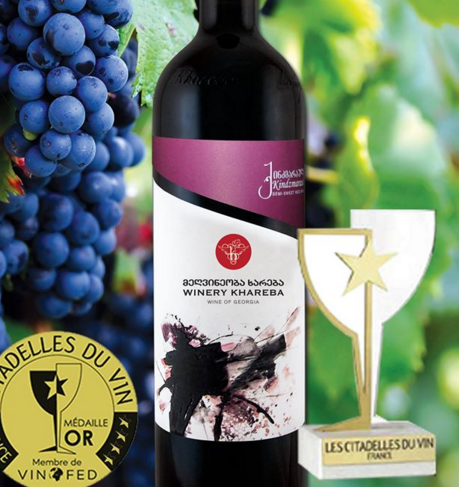 Georgian producer Winery Khareba has won two gold and two silver awards at Citadelles Du Vin wine contest in Bordeaux, France. Winery Khareba's success in 2016 is building upon the company's participation in Citadelles Du Vin in previous years, which was also successful. Last year Winery Khareba has also won 2 gold and 2 silver awards (read more here). Citadelles Du Vin is a prestigious wine competition in France, member of the VINOFED, organized during the Vinexpo exhibition under the high patronage of OIV. Every year some 40 top level tasters from all over the world meet in Bourg (Bordeaux, France) for three days to elect the best wines out of 3000 samples coming from about 30 countries.